“You Are On the Verge of Something Wonderful"
You May Be Feeling Exasperation, Embarrassment, Guilt, or Fear. The Clark Institute Offers You Hope. The Clark Institute Offers Expert Help for Adults and Children with Social Challenges, Emotional Development, Family Problems Idenity Issues. Expert Therapy is Provided for Depression, Anxiety, Post-Traumatic Stress Disorder (PTSD), Adjustment Disorders (Grief, Divorce, and Other Changes), Pervasive Developmental Disorders (Autism/Asperger's Disorder), and Gay and Lesbian Issues-Including Gay Christian Identities. Challenges Are Treated in Individual, Parent-Child, Family and Couples Programs. 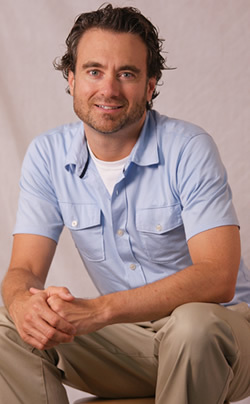 Dr. Matthew Clark is often interviewed on Television and Radio Stations on Parenting Issues, Child and Adult Mental Health Challenges, and Gay Christian Advocacy. He speaks at Universities, Community Centers, Churches, and Conferences on these and other topics. He is an active attender of Mars Hill Bible Church in Grandville, MI and a former board member of the LGBT Network and Gays in Faith Together/the Gay Christian? Yes! Campaign. He is a Gay Christian activist and speaker/event coordinator.Dr. Clark strives to respect the whole person and everyone's cultural and individual uniqueness as a Child of God.